It’s been estimated that fleet accidents cost American business more than $60 billion a year, and in the current economic climate, fleet and safety managers are under intense pressure to reduce those costs by cutting their accident rates. One of the most commonly sought solutions is driver training. But with an increasingly large number of onboard vehicle technological alternatives to preventing accidents, the question is whether training delivers the most cost-effective results. This paper tries to answer that question by taking a broad look at the scientific evidence on the true value of driver education and training. 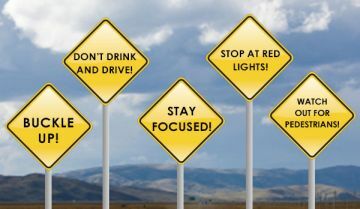 Because most of the research has focused on teen driver education, we take a brief look at that first, along with a look at the less-extensive research regarding the effectiveness of training on more experienced adult drivers. What we find are clues that begin to put the role of fleet driver training into proper perspective. Our conclusion is that driver training is an important and useful tool for reducing fleet accident rates, but that by itself, it is unlikely to achieve the reduction in accident rates that fleets are seeking.